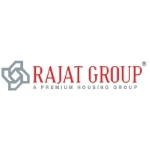 RAJAT HOMES is synonymous with very high quality construction and meticulous planning making it the cynosure of real estate business in the city. Promoted by Mr. Raj Pasari, a stalwart in construction field with a vast experience and obsession for aesthetics, RAJAT HOMES has been making rapid strides with prestigious ventures in Prime locations of Kolkata. The promoters had earlier been financing property developers. Such experience and vision to foresee a creative future resulted in their starting their own enterprise. They have also enhanced their managerial and commercial skills by inducting a well experienced management team into the company, which also ensures that all day to day activities are carried out smoothly. This concerted and professional approach has resulted in the company developing excellent projects in the city of joy. The Company is into Property Development, Construction of Apartment Complexes and Row Houses. RAJAT HOMES helps you give your family a prestigious address, not just a place to live in and help you fulfill your cherished dream of owning a house that's a connoisseur's delight.